I was recently commissioned to make a custom piece that was a gift to a wonderful 88-year-old woman named Louise Walton. 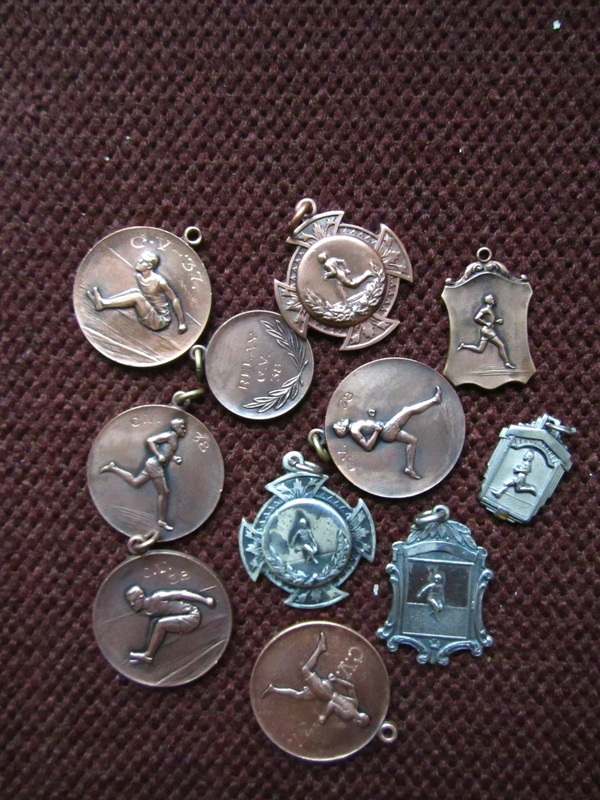 Louise’s daughter Wendy found Louise’s high school track and field metals and decided to do something special with them. Louise grew up in Wyndle, which is a small town near Creston. Louise competed in foot races and high jump traveling to Nelson and Creston to compete in big track meets. 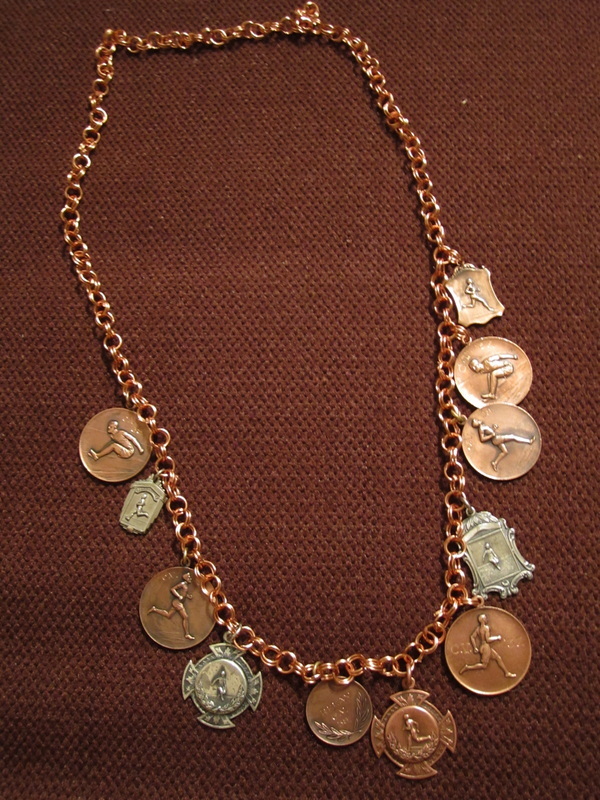 For Louise’s piece I made a chainmail necklace and incorporated 11 of Louise’s metals. I am very honoured to have been able to create such a meaningful peace for such an amazing and dynamic woman. The necklace was made with love to celebrate a lovely woman. My dear friend Faye got married July of last year. As a wedding gift I offered to make her and her lovely maidens' jewellery. Together Faye and I came up with a design for her and her girls that complimented their natural beauty. Faye’s bracelet, earrings and necklace incorporated smoky quartz gemstones and hand twisted wire. 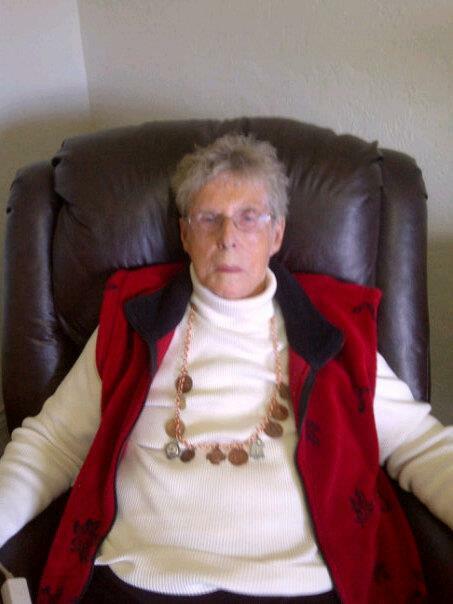 Below are pictures of Faye's bracelet, necklace and earrings. The pieces were made with love for a day filled with love. Hello! I am a jewellery designer located in Vancouver. I find my inspiration through nature, my travels and my loved ones. I do custom work. Have something in mind? Contact me and I would love to work with you! © 2013 bayoush. All rights Reserved.